A Scientific Stream is a series of sessions that take place under one topic. WSAVA/CVMA 2019 offers companies to link their name to one (or multiple) streams during the world congress. The supporting company, in addition to the support fee, must cover all speakers’ expenses, including registration fees, accommodation and travel expenses. This also applies in the case where the Sponsored Symposium speakers have already been invited by the Congress. In this case, the company will support the amount of nights as per congress policy. The supporting company, in addition to the support fee, must cover all speakers’ expenses, including registration fees, accommodation and travel expenses. This also applies in the case where the Workshop speakers have already been invited by the Congress. The ability to attend all congresses, or alternatively, all congress sessions, is virtually impossible for the busy medical professional. Therefore there is a growing need to share knowledge and learning opportunities beyond the dates of the actual event and high-quality webcasting helps meet this substantial educational need. Materials are saved locally, but at the same time, can be distributed over the web to viewers around the world via a robust cloud server. Viewers can access the broadcasts using PCs, tablets or smartphones live (as streamed video) or later, on-demand as a webcast. Sponsor will be recognized on the home screen with ˝Sponsored by… ˝ and a company logo only. 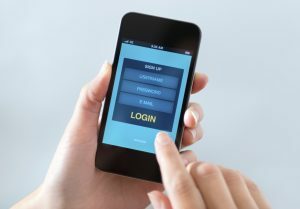 The Mobile App engages attendees with personalized planning tools and real-time event updates. The App transforms smartphones, tablets and laptops into a tool for active meeting participation, making it easy for participants to access meeting information they need and to connect with speakers and colleagues. The App includes the scientific program, abstracts, speaker info, participant lists, rating/voting system for sessions/speakers and a personalized scheduler and is easily downloadable from the App Store and Google Play. ​E-Posters are a unique combination of scientific posters and interactive content. An e-Poster is an electronic version of the traditional paper poster and is shown at dedicated digital stations at the event. ​Signage at the entrance to the e-Poster area with “Sponsored by…” and a company logo only Signage. ​“Sponsored by…” and a company logo only on each individual e-poster station, on the “sail” as shown in the image. ​​​Sponsored will be acknowledged in the Industry Support and Exhibition section of the Program, on the event website and with signage during the event following all compliance regulations. Opportunity to support the local theme night and enjoy great visibility! Exclusive Sponsorship. ​Sponsor will have the opportunity to promote itself through a networking reception in the Exhibition Area, on the first evening, to which all registered attendees are invited. ​Sponsor will have the opportunity to promote itself through a networking reception with entertainment in the Congress Venue, on the last day, to which all registered attendees are invited. Sponsoring the lunch break gives your company great visibility! 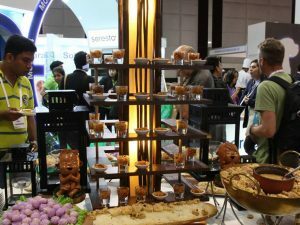 ​Coffee will be served during breaks in the exhibition area. 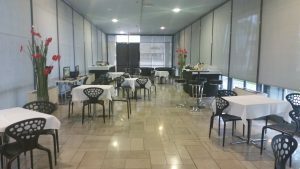 An opportunity to hire a room at the venue that will be used as a Corporate Suite. The sponsor will be able to host and entertain its guests throughout the event. Companies will have the option to order catering and AV at an additional cost. Facilities will be available at the Congress Centre for speakers and abstract presenters to review their presentations. Meet with attendees and key decision makers to share your new research outcomes, discuss your clinical protocols, and conduct product demonstrations of your new products and services. 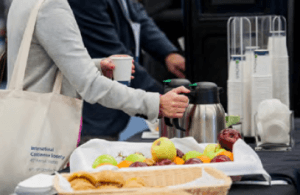 Product Theatre sessions are 20 minutes in length and will be held in a designated area(s) in the exhibition hall, which is set up in theatre style for 50 attendees. No other sessions of the scientific program will run in parallel but may run concurrent with other sponsors. The branded Seating Cubes are sturdy, trendy, cool, classic, cheerful, creative, stylish and informal. This multipurpose cardboard stool can be customized to match whatever theme you have chosen for the event. 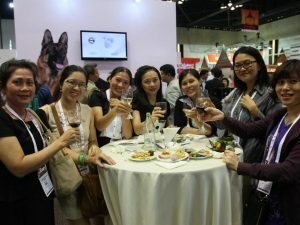 The New Product Gallery allows you as a company to introduce your exciting new product to the WSAVA audience! 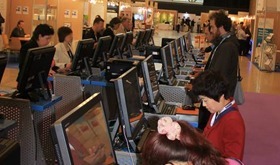 ​There will be an Internet Area, within the Exhibition Hall, equipped with workstations where attendees may check e-mails. Your company’s logo will be prominently displayed. This is an exclusive sponsorship item. 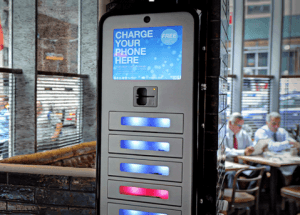 Branded Charging Kiosk for multiple devices, including smart phones and tablets. It’s a great way to leave a lasting impression on the congress delegates. *Photos are for illustration purpose only. Sponsors will be given the opportunity to display the company logo on water dispensers in the Congress venue. Please click here for the items. 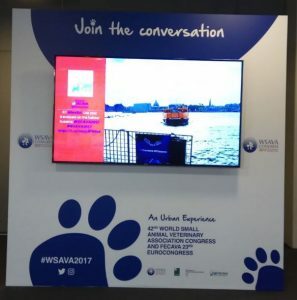 ​The Twitter Wall is an exciting and modern item which encourages delegates to post messages related to WSAVA/CVMA 2019. This item provides you great exposure! The on-site social media specialist will moderate the interactions to ensure that only appropriate and Congress related interactions are shared on the main screen. The Photo Booth is an excellent tool to engage with Congress attendees. It allows them to have fu​​​n and share their experience. Attendees are given the opportunity to take a photo of themselves and colleagues, using fun props provided by the organizer, and have the photo sent to them via email, text message or directly uploaded to their social media accounts. 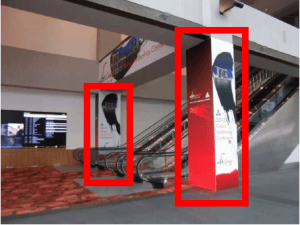 ​The booth attracts many attendees and a sponsor would gain exposure by having their branding on the outside of the booth, including their logo on every photo taken. Notepads & Pens will bear the WSAVA logo and the Sponsor’s company logo and will be distributed in the participants’ Congress bags. * This item must be approved by Kenes International as well as the Congress’ Organizing Committee prior to production. 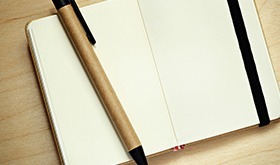 This high visibility item will get exposure to your company’s branding. ​Your company logo will be displayed on the luggage tags. This is an exclusive sponsorship item. The World Map is a unique touchscreen map of a 2D atlas providing viewers with extra info/data on congress participants from around the globe. The map is an interactive experience for participants to connect based on their geographical origins. 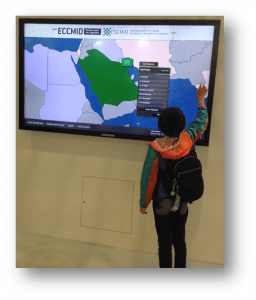 The touchscreen display can be placed in a central location at the congress venue and serves as an information and communications tool, ideal for enhancing participant networking. Full inside page (or half page) color advertisement in the Final Program. Inclusion of one-page promotional material in the participants’ Congress bags. Material should be provided by the Sponsor and approved by WSAVA. 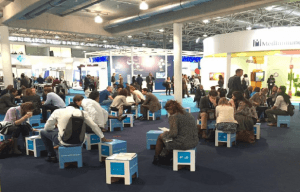 Gain additional exposure for your sponsored stream, company or exhibition booth by sending out a Mail Blast to the preregistered delegates who have agreed to disclose their details at a date and time coordinated with the Congress Organizer. Exclusive: Mail blast will be exclusive for the Sponsor. 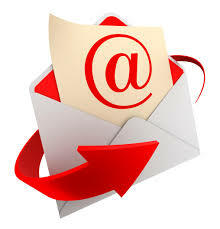 The designed mail blast (html format with Kenes design requirements) and the preferred “Subject” to be provided by the Sponsor and subject to receipt by 6 weeks prior to the Congress. ​”From” field will be WSAVA/CVMA 2019. Joint: Mail blast will list all sponsoring companies according to the support level. Each company will have a section of approximately 150 words. Design will be provided by Organiser. 1 “push notification” sent to all participants** onsite through the mobile app – to be coordinated with Congress Organizer. Please note that it is the Exhibitors’/ Supporters’ responsibility to comply with the local authority’s regulations, EFPIA (European Federation of Pharmaceuticals Industries & Associations) www.efpia.org, Medtech Europe (represents Medical Technology industry) http://www.medtecheurope.org/ and IFPMA (International Federation of Pharmaceutical Manufacturers & Associations) www.ifpma.org Code of Practice on the promotion of medicines. Failure to comply with these regulations may not be used as a ground to declare the contract void. Failure to comply with the rules and regulations will not expose the Organizer to any suits, demands by the Exhibitor/Supporter or any other third party. 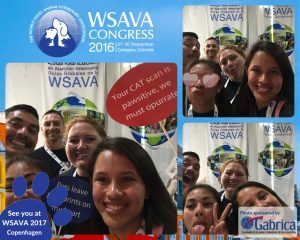 The WSAVA World Congress is an opportunity for our global veterinary community to come together to learn, share ideas and to forge relationships with colleagues from around the world. Join us in Toronto, 16- 19 July for the WSAVA/CVMA 2019 Congress. WSAVA 2019. All rights reserved.